Frenectomies aren’t all that common in adults, but there are specific instances when the team at our Mill Creek dental office may recommend one to an adult patient. But why exactly would a frenectomy be needed, and what is it? We’re here to talk all about frenectomies and the benefits behind getting one. Let’s have a quick lesson on the mouth’s anatomy, specifically the thin, taut pieces of muscle called frena (frenum when referring to one). There are two of these little muscles that are the common culprits behind needing a frenectomy: the lingual frenum and the maxillary labial frenum. 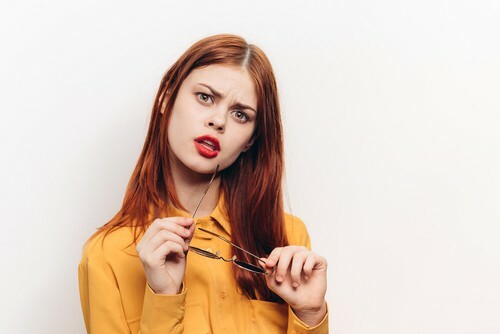 First, the lingual frenum is the tight piece of tissue that connects the underside of your tongue to the floor of your mouth. The maxillary labial frenum can be felt if you run your tongue under your top lip in front of your teeth. When either one of these muscular attachments affect proper function, a frenectomy may be recommended. A frenectomy is a fairly simple dental procedure that removes or shortens the frenum that’s causing trouble. First, the area is numbed for comfort. Then, your Mill Creek dentist will cut the frenum away from either the upper gum line or the base of the mouth. After sealing the cut with stitches, you should be all set. Some dentists can even perform a frenectomy with a laser, eliminating the need for stitches. How Can a Frenectomy be Beneficial? Benefits of a frenectomy can vary depending on which frenum is causing the trouble. A lingual frenum frenectomy is recommended if the frenum is too long and extends out too close to the tip of the tongue. When this happens, speaking, swallowing, and eating can be difficult. A frenectomy can help with all of those. This type of frenectomy is usually caught early and is typically performed on young children. A frenectomy on the maxillary labial frenum is the procedure that’s usually reserved for those with permanent adult teeth. The most common complaint from individuals where this type of treatment is appropriate is a gap between the front two teeth. Usually, patients who are unhappy with a gap in their smile undergo orthodontic treatment, and that can help squeeze the teeth tightly together. However, once orthodontic treatment is complete, there’s a chance those two front teeth can separate once again. If this happens, it could mean the maxillary labial frenum is too long and is actually pulling those two teeth apart. A frenectomy can resolve that issue once and for all. If you think a frenectomy may be appropriate for you, we welcome you to call our dental office in Mill Creek. We’ll be happy to help. Welcoming new patients from Mill Creek, Bothell, Everett and beyond.